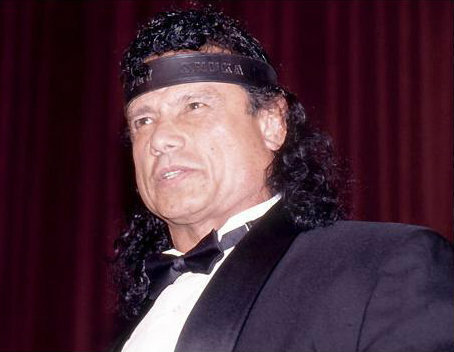 Multiple sources are confirming that Jimmy “Superfly” Snuka has died of stomach cancer at the age of 73. Snuka was best known for his time with the WWF in the early 80s, and early 90s, as well as his recent trail for the 1983 murder of his mistress. Some of his biggest wrestling moments include jumping off the cage on Don Muraco (with Mick Foley in the audience) and be the first victim of the Undertaker at Wrestlemania. Despite some big moments, Snuka’s career will always be tarnished by his likely 1983 murder of his mistress, Nancy Argentina. Snuka wasn’t charged until two years ago, but the accusation and belief within the wrestling world of Snuka’s guilt limited his career and kept him from alot of major success. I go into it further in my full article on Snuka. Snuka was deemed unfit for trail only weeks ago, granting Snuka theoretical peace in the last weeks of his. No peace will ever be given to the Argentino family. Thus is the greatest contradiction of Snuka’s life and career. This entry was posted in SAD, WWE Hall of Fame NEWS and tagged controversial, jimmy snuka, sad. Bookmark the permalink.